Bianca said: "The store, Dussmann das KulturKaufhaus, offers probably Germany's largest selection of books in English!I think that is worth a contribution in bookstoreguide.org, don't you?" We certainly do think so for any contribution to the guide is more than welcome and appreciated. Spreading across five floors on almost 7.000 square meters, KulturKaufhaus (translating to the Cultural Shopping House) is a multi functional bookstore which also sells CDs, DVDs, audio books, games and more - their slogan being "All the media under one roof". 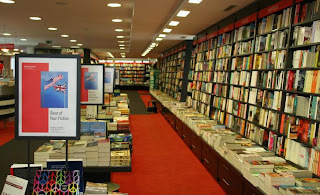 Dussmann, as you have probably guessed by its name, is not an English language specialized bookstore, but English titles occupy most of the third floor of this huge store. Almost six thousand books in the English department make this place one of the most stocked bookstores in Berlin covering a wide range of topics from both fiction and non-fiction. Novels, children's books, literary classics but also comics and titles on history or politics can be found here. Of course, Dussmann with its five floors is a completely different experience than the mostly space-limited cozy bookstores which form a vast majority of the listings in our guide. On the other hand, there are other factors that come into play, which eventually convinced us to include Dussmann. 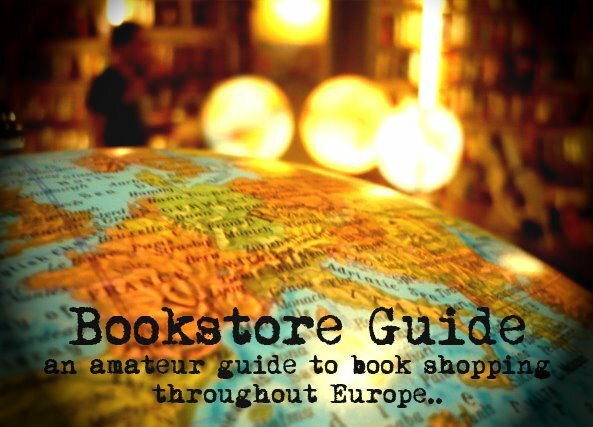 Besides its convenient position in the very center of Berlin on the well known Friedrichstrasse, it's offer of English titles is really extensive especially for non-specialized bookstores. The opening hours can also prove to be very useful especially if you find yourself in a desperate need of a book late at night. Comfortable armchairs are at disposal for the tired customers, adding a bit of a personal feel to the atmosphere. You forgot the restaraunt, Catherine's which resides on the first floor and into the courtyard, near the water fall. Here not only is the food excellent, so are the trolley's full of books one can enjoy while eating. we spent many a Saturday , nearly the whole day enjoying this place.